Steve Blackwell is a fine art landscape photographer who has made Calgary, Alberta his home for nearly 30 years. 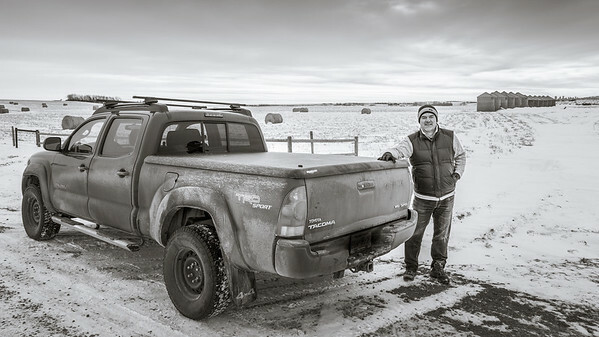 Steve’s images generally focus on the rolling landscape of the Western Canadian prairie. His simple, often minimal, compositions present quiet intersections of this environment: the natural and the man-made, the mundane and the dramatic, the commonplace and the incongruous. Steve’s work has been exhibited in Canada and the United States, published in Black & White Magazine and recognized in several international photography competitions. He was a finalist in the 2018 Photo Lucida Critical Mass selections and second in the 2017 Emerging Photographer Showcase of the Exposure Photography Festival. Steve has been exhibited in Canada and the US and published in Black & White Magazine. He has also had his photographs recognized in a number of international competitions.